The media and entertainment industry is experiencing a grand evolution from traditional to digital media powered by cloud technology. This digital shift is increasing collaboration and lowering market barriers, thus opening doors for a global market. Digital media content is accessible and customizable in streams of music, movies, ebooks and videos that are distributed over the internet to an array of connected devices. Angani’s Media Product is helping media companies work cost-effectively and smarter by providing cutting edge and on-demand cloud tools. Our team has experience of handling media industry players working across the processes of production, post production and delivery. Our cloud media solutions are built around world class technology to give clients access to the best security and storage for their media content. Consumers are demanding more content choice than ever, which calls for more computing resources and power than was the case with traditional broadcasting. Additionally, the increase of delivery channels and devices calls for more flexible business systems and models to engage a diverse audience. Higher costs of technology acquisition and operations are frustrating many media companies. Increase in prices for content rights and competition from lower-cost entrants into the media industry are creating dire need for reduction of up-front investments in technology and alignment of costs to usage and revenue. Media companies are under time pressures to bring new experiences to the market. Consumers want quick expansion and evolution in content experiences, which forces broadcasters to accelerate development of solutions and rollout cycles to keep up. 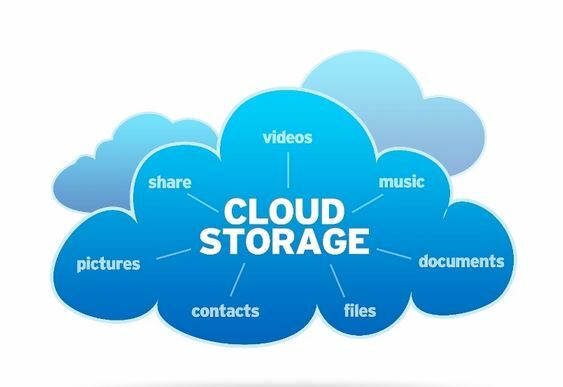 Our cloud media solution provides you with reliable storage, backup and accessibility to your data, which is stored in TWO redundant datacenters. Up to THREE copies of your data are stored to ensure no loss of data. As a media company or owner, we guarantee that your data is completely private and secure. Our cloud allows encrypted file transfers for additional security. You have full control of downloading and streaming access to your customers. Our pay-as-you-go model ensures you pay for what you use, ranging from small to large amounts of media. With no limit from our end, only you can limit yourself depending on your storage needs. Angani’s media platform is simple to use, with media uploads being as simple as drag-and-drop. It features a user-friendly interface for updating, tagging and managing your content. You have access to your content around the clock and from any location. Using our media solution exposes your content to unlimited possibilities in content delivery to Broadcasters, and on numerous digital platforms like mobile, web and video on demand (VOD) systems. Cloud computing provides a platform to invest, test and release innovation to the market. Through the Angani Cloud, broadcasters can roll out their services within several weeks or months, instead of years. This ensures their service delivery cycle is at par with that of over-the-top (OTT) broadcasters. The Angani Cloud gives media houses the scalability of handling spikes in their workload, live events, and surges in demand for new services. With our cloud model, infrastructure availability can expand or contract to cater for peak usage requirements, and clients pay only for the infrastructure they use. When it comes to delivery of live events online, our cloud has transformational effects on the ability to stream live events. With growing consumer demand for a variety of content across different devices, media companies are experiencing higher CAPEX and OPEX due to purchase of additional in-house infrastructure. Angani’s media solution helps you avoid high investment, operation and running costs by providing Infrastructure as a Service (IaaS), Software as a Service (SaaS) and Platform as a Service (PaaS); for which you only pay for the infrastructure you use, hence no surprises! The ease with which consumers can find and select the content they need from their device of choice impacts on revenue. Our cloud solutions allow broadcasters to collect, store and perform analytics on large amounts of data to generate insights for personalization, customer experience and service development. Accessing computing resources without the need to build in-house IT infrastructure allows broadcasters to experiment with different cloud services to determine their potential to engage customers, and generate revenue without great investment risk. If managed properly, incumbent media owners can accelerate the effectiveness and speed of service innovation, thus putting them ahead of their competition. The future of the media and entertainment industry is promising due to cloud media solutions. Media companies will fully realize digital supply of their content, which was previously obstructed by in-house systems, high server requirements and huge costs. The cloud overcomes these obstacles through on-demand virtualization services. The cloud has lowered barriers to market entry, and despite your line of business, you can now move to distribution of visual and audio content. With such a readily available digital supply chain, rapid creation and delivery of innovative services to customers follows. Companies can now broadcast messages from key executives and offer in-house training using the Angani media platform. Churches can deliver live or previous sermons to their congregants. Schools can offer blended learning and upload content for parents and students. Media broadcasters can deliver content faster and in a more cost effective manner. Medical institutions can use the cloud to procure a patient’s data, enabling them to have remote access to data instead of going through the computers in a hospital. Banking institutions can utilize the cloud for communication services, core banking and even on-demand Business Intelligence. Individual artists or independent studios can deliver live podcasts and webcasts with ease. Staying abreast of developments in the media and entertainment industry is important for success. Numerous opportunities for achieving high performance are presented by the Angani Cloud. Contact us now to introduce your media content to a world of opportunities. « The CCTV Storage Solution – Why Should You Use it for Your Security System?